Jon Cryer Reacts To Ashton Kutcher Joining "Two And A Half Men"
Jon Cryer said he's glad "Two and a Half Men" is back on. 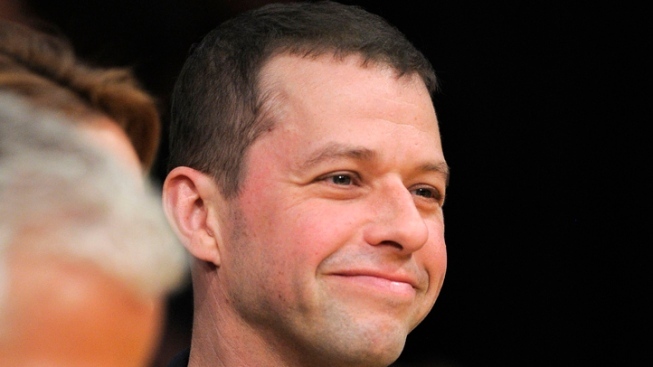 Jon Cryer is finally speaking out about "Two and a Half Men" and he said he is thrilled his hit comedy will return to CBS. "I'm jazzed about the news this morning that 'Two and a Half Men' is coming back! For all the rest of the cast and crew I'm sure they are equally excited," Cryer, who plays Alan Harper on the series, said in a statement to Access Hollywood on Friday. Cryer, who, for the most part, kept quiet following Sheen's very public spat with CBS, the show's parent company, and Warner Bros., the studio that produces the show, also offered praise for his departing co-star as the show carries on without him. "I want to express my enormous gratitude to Charlie Sheen for eight great seasons," Cryer's statement to Access Hollywood continued. "I'm extremely proud of the work we've done together and I will miss him. But I'm also looking forward to this new beginning." On Friday, it was confirmed that Ashton Kutcher will join the hit comedy series from creator Chuck Lorre, and Cryer had nothing but praise for his new co-star. "Ashton is an extraordinarily talented guy and his presence will be an asset to our show," Cryer's statement read. "We are old friends from our male-modeling days and we're both looking forward to being judged for our comedic artistry, as opposed to our exceptional physical beauty," Cryer added, making a reference to Ashton's pre-TV and movie career as a model.